This is my official entry to Bebengisms' Wooden Kiddie Stools Giveaway. Being a work-at-home mom myself, I still find it challenging to balance work load and time for baby. One reason is because I chose to exclusively breastfeed Baby A, making her become more clingy to me but that's what I wanted it to be. I am happy for being with her as she goes through her developmental milestones. From being a swaddled newborn, to achieving her neck support, to her first roll-over, to crawling, to sitting upright unsupported and now trying to stand on her own. A little more than a month left, my baby will become one year old already. Time to celebrate her first birthday. And because I am such a busy person, I was able to start planning for my baby's birthday party I think last two months ago only. But it doesn't mean that I don't give importance to it. Of course I do, that's why I am taking it slowly and carefully because I want it to be a very special one since it's also her baptismal day. And you know what made it more special? Her birthday this year falls on a Sunday. I really love that day! First few things that I was able to finalize were the church, the venue and the catering. Then others came next such as photographer, videographer, and photo booth. I actually just made down-payments to them just last two weeks ago. And guess what, Wooden Kiddie Stools was also included in my supplier list. I came to learn about them just early this month after having attended a first birthday party and got a wooden kiddie stool as their souvenir. 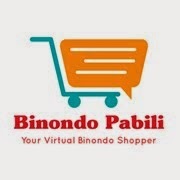 I find it very practical, customizable and useful. I immediately thought of having these kind of souvenirs to make my planning less tedious. Instead of buying things to fill up a loot bag, this wooden handicraft will do. And to make it different from my friend's party giveaway, I chose wooden mini baskets and I have actually ordered 60 pieces of them. Oh no, I have spoiled the surprise. Haha! 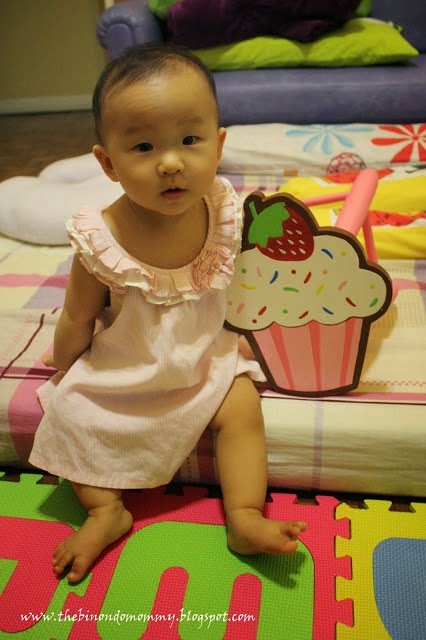 Baby A with her yummy wooden kiddie stool. Thanks to Mommy G and Baby M! And coincidentally, Bebengisms is having a giveaway from Wooden Kiddie Stools. Wow! They are giving away 30 pieces of Wooden Baskets according to the party's theme. I really hope to win. It could save me half of the total price that I will be spending. I can already feel the sting on my pocket because of the payments I made this month. Actually, my hubby just wanted a conservative and simple party and me on the other hand wanted to make it more colorful and memorable. And because of that, we have decided to split the expenses where he takes care of only the catering and me for the rest of the party details. Gulp! Let's just see how my baby's party would go. I haven't finalized the cake, candy buffet and event stylist yet. I don't have yet a sound system and I know rental fees are very expensive that's why I will try to borrow from someone else. I'll surely blog about all my party details soon. Stay tuned! oh my! i know the feeling! i can relate to this because a month from now, it's my daughter's 5th birthday. although hindi na ganun kabongga this time, we still need a lot of preparations to do. this is quite stressful. that's why when our baby had her first birthday we decided to celebrate it on a fast food chain. though quite expensive it's less stressful.